Today we release a new Big Fun Town game, Dancing with Cannon Balls. In Dancing with Cannon Balls you run around and dodge cannon balls that are being shot at you by a mad man. You're surrounded by fire, so you cannot escape and have to survive as long as you can by frantically running about. Go play it now and see if you can beat the high score. If you have your own website, why not add Dancing with Cannon Balls to it for your visitors to play. 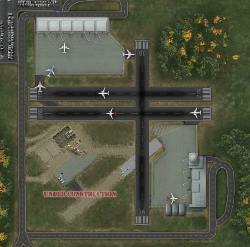 You can find it and other free Big Fun Town games on our Free Games for your Site page. We've just launched our new Game Store where you can buy full versions of some of the great games on Big Fun Town. 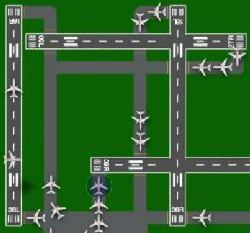 To start things off, we've got all four Airport Madness games available. 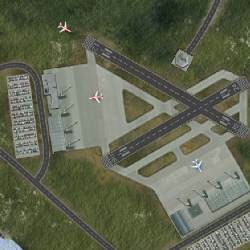 So if you haven't already, play the free versions, then head on over to the store to buy the full versions with all the added fun and awesome features like emergencies, night time, and nasty weather in Airport Madness 3 and extra levels like the Aircraft Carrier in Airport Madness 4. For whatever reason, you might want to stop other users from finding out how long you've spent playing games on Big Fun Town. Now you can. 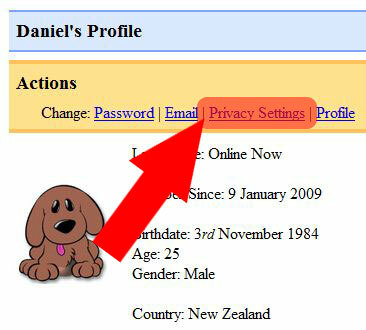 Get to your "Privacy Settings" using the link in the yellow "Actions" section at the top of your "User Profile". Then configure whether other users can see how long you’ve been playing any given game. By default, everyone can see. If "Show Time Played" is set to "Yes", then everyone can see how long you’ve played each game through your "User Profile". If set to "No", then only you can see the "Played Longest" section on your profile. 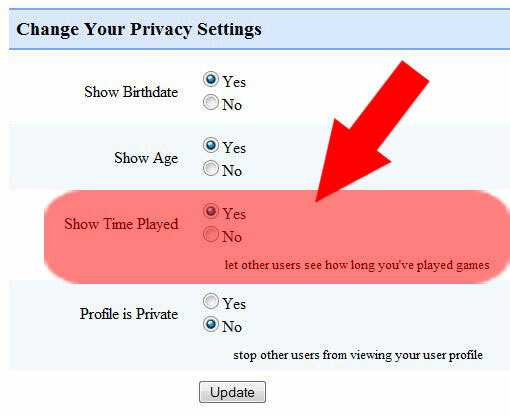 Additionally, if "Show Time Played" is set to "No", you won’t appear at all in the "Addicts" section on any game. Please note, changes to your "Privacy Settings" do not take effect immediately. You need to allow some time for the change to propagate. 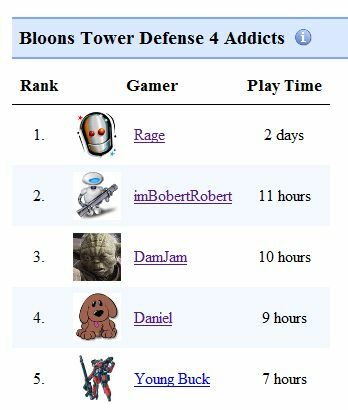 There is a new section below every game, which shows the five users that are most addicted to the game. Specifically, it shows the users who have played the game for the longest total length of time. If you're addicted to a game, you can use this to find like-minded users and to see what games they like through their profiles. To further help you find fun games, we've also improved the similar games section below each game. This section now finds games that are even more closely related to the current game. The ordering algorithm used to rank the highest rated games has been improved. Previously, games with very few votes often became the highest rated games, only to be subsequently voted down once more people rated them. With the new algorithm, this no longer happens, so you can trust that the highest rated games really are good games. We hope this makes the highest rated game sections far more useful to you. You can now sort by each column on the Medals & Points Summary page. Click on a column's heading to sort by that column, click on it a second time to sort in reverse order. By default it is sorted by the percentage. 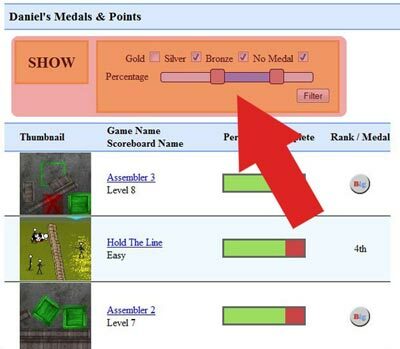 You can now keep track of your progress (and the progress of other users) on high score games using the new Medals & Points Summary page. 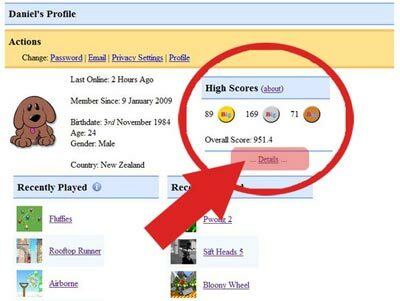 You access the page through a user's profile page using the 'Details' link under High Scores section. Once you've reached the Medals & Points Summary you can use the filtering form to view just the scores you're interested in. 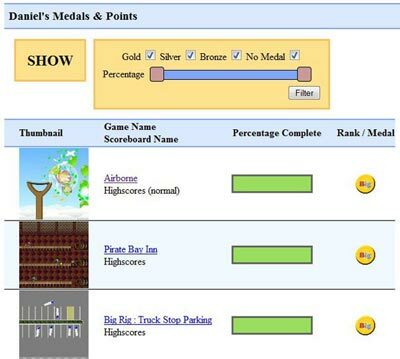 For example, you could choose to show only your Gold medals or just the score boards where you don't have a medal. 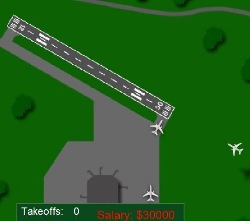 The percentage complete is shown using a green/red bar that indicates how close you are to having the top score. This parameter is filtered using the percentage slider control to select a range of scores. As a reference, good scores are mostly green, average scores half green, half red, and poor scores mostly red. You may have noticed that your overall score has changed abruptly and possibly to a much lower number. The change has affected everyone and is due to an update in how we calculate the overall score. 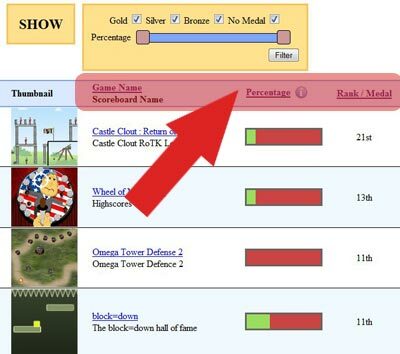 Previously, the overall score was computed using the highest scores on games where lower scores are better. 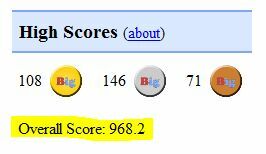 We found this problem today and updated the computation of the overall score to work correctly on these games.